Booongo – a small iGaming developer with huge potential. It’s been around for a couple of years and is ready to conquer the whole world. Its small portfolio of games is full of great titles players love. Despite being young and small, the company is determined to innovate and introduce something no one has ever done before. 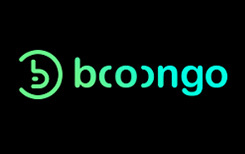 Passionate game development and pushing boundaries of iGaming is what Booongo does. Booongo professionals don’t just develop video slots, although this is their main product. They have also introduced one amazing feature for those who love slot tournaments. If you play at one of the best Booongo casinos and participate in the tournaments, you can see your opponents play live. It’s called Spectator Mode. What’s more exciting about this opportunity is that you don’t have to interrupt your own session to spy on your rivals. With such innovative ideas, which give competitive advantage to operators, this young supplier is going to have a great future. Booongo doesn’t just deliver what players want, it anticipates their expectations and is able to surprise them. The company holds Curacao license and is certified by QUINEL. The license is to show they are regulated by globally recognized jurisdiction. Meanwhile, QUINEL certificate is a proof of game fairness. QUINEL is a testing laboratory and they evaluate random number generators (RNG) which are responsible for providing unbiased results. Therefore, playing at reliable Booongo casinos would be safe and fair. How many casino content suppliers offer hands history? As far as we know, Booongo is the only one. This option is very popular in online poker industry, but slot providers don’t usually give this useful and exciting opportunity. Whether you want to enjoy big moments once again or just want to make sure you are paid in full, just open rounds history. The quality of Booongo games is very high. All of their 16 slots they have today are wonderful. There are different themes, including popular Asian themes. Games are available in 12 languages and that makes them attractive for operators around the globe. Produced in HTML5 format, they can be played on handset and desktop. This supplier isn’t the one following All Ways trend, and their games have traditional 20-25 paying lines. Every title has Turbo mode if you want to play more rounds per minute. Volatility of the slots is usually medium, but there are some titles which pay more or less frequently. So, at best Booongo casinos risk averse and risk takers will all have something to enjoy. Hell’s Band is one of its most stunning video slots. Besides its extraordinary theme and visuals, this title has one unique feature you probably won’t find in any other slot. There are usually wild and scatter symbols apart from a set of regular elements. But in Hell’s Band any symbol can become both wild and scatter. To the left and right sides of the reel set you can see random wilds and scatters are assigned during each spin. It can be 10, Q, A or any other image. This is a great, feature packed game. You’ll have bonus rounds, achievements to unlock and get higher payouts and free spins. Basically, every Booongo video slot is a whole new story with excellent graphics and beautiful sounds and music. Punters can turn on and off music and/or sounds depending on their preferences, and that’s great. Auto Game settings are also impressive. The developer gives punters a choice to stop Auto mode after certain number of rounds, on any win or any big win, if bonus or free games are triggered. The company successfully experiments with different styles and formats. Christmas Charm, for example, is a charming cascading slot machine. Boxes with Christmas presents disappear from the reels allowing the formation of new winning combinations. This title is one of the simplest ones in Booongo collection. But it’s so bright and sweet you shouldn’t miss it, especially if you want to refresh Christmas memories or want to get into the Christmas spirit.